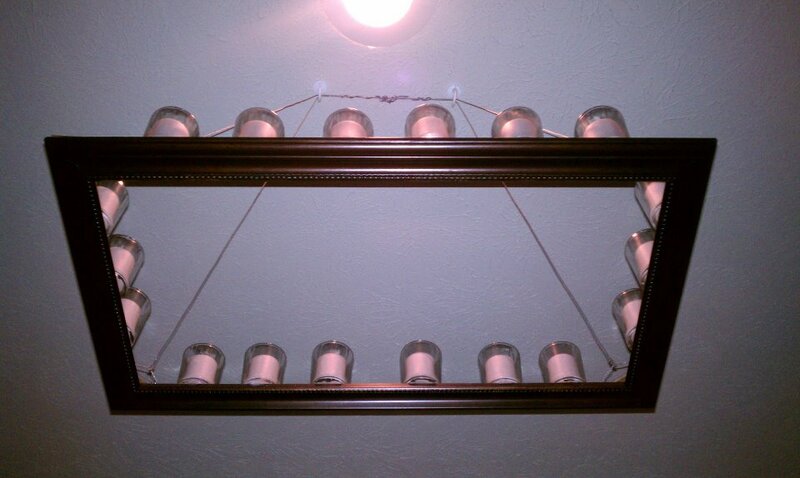 For the individual who has champagne taste but spends like they have a wine cooler budget here is the DIY modern chandelier I designed. 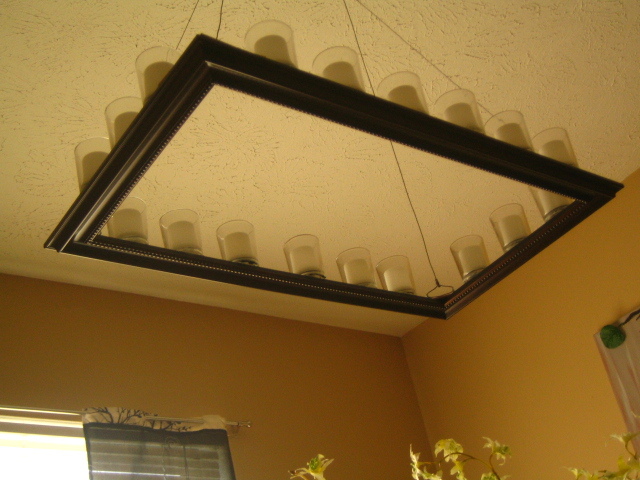 My vision of my own style of chandelier I wanted to be less traditional. 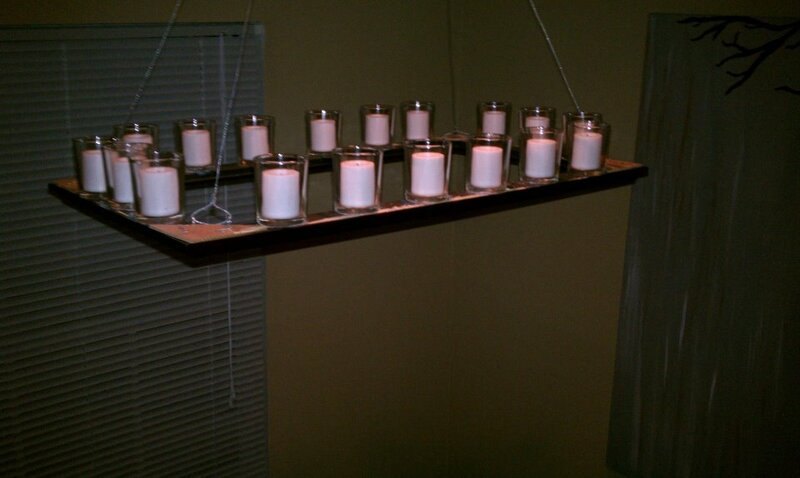 I created this modern/ contempary style platform chandelier. Most of these items purchasable ready-made can go for hundreds of dollars. So I designed my own at fraction of the cost.